I just want to say this- Go Heels. We may have lost tonight, but we played a great game against big odds. One of our star players was on the court on a sprained ankle, another was out with a fractured wrist. We had a few freshman on the front lines and as a team, they held their own. It was not the blowout that it could have been, and while I always want a Carolina victory, I was proud watching them play. And the best part? Because it’s a young team, I know that I’ll be drinking a lot more Carolina-colored cocktails next year. 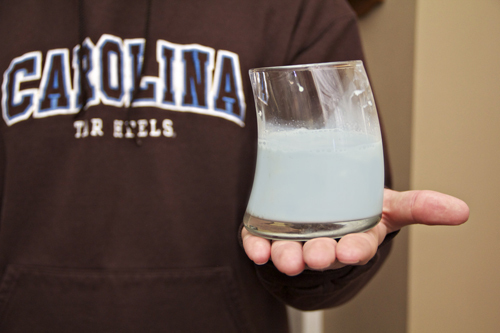 I learned yesterday that North Carolina’s state beverage is milk. And as Dan and I were brainstorming what Carolina-blue cocktail we could drink tonight to watch the game I thought “what if we made blue white russians- it would be the perfect marriage of the state beverage and the state’s oldest public university.” I thought, that would be so hilarious and weird. And then I said it out loud to Dan. And then I thought… that’s no weirder than drinking blue Gatorade, let’s do this. And they were awesome. And weird. Also… milk? 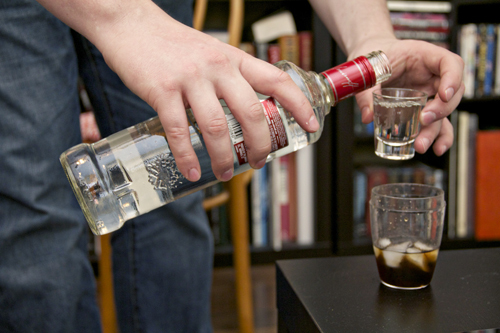 Combine espresso liquor and vodka in a shaker with ice. 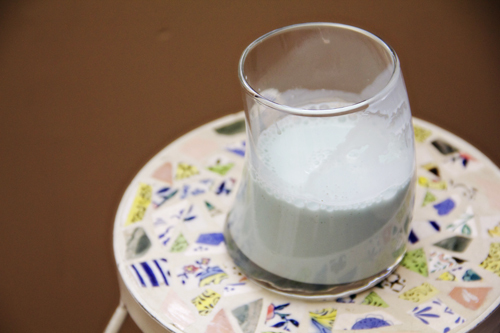 Shake and pour into a glass. Top with cream. Stir in food coloring. Enjoy. Where did you get those crazy glasses? Great website! Thanks Betty! They’re from Target.